Munich-based brand Ruby Hotels has revealed plans for an additional eight properties by 2020, including its first in the UK. The brand unveiled its concept with Ruby Sofie in Vienna in 2014, before opening two further hotels in Austria’s capital, Ruby Marie and Ruby Lissi, as well as Ruby Lilly in Munich, Ruby Coco in Dusseldorf and Ruby Lotti in Hamburg – which will celebrate its official opening on 21st November this year. 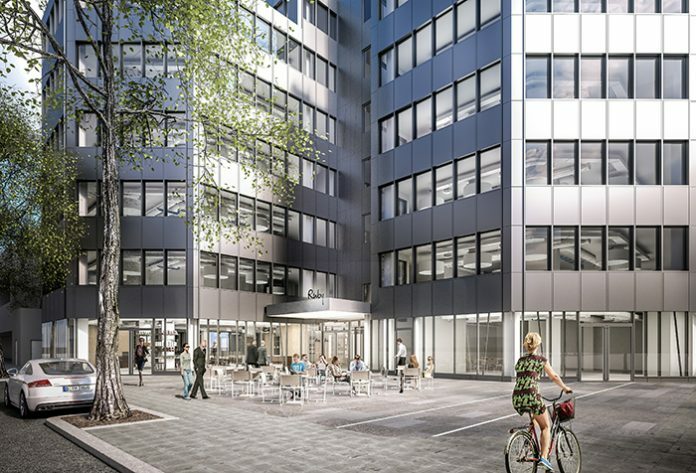 Further, the company plans to expand its portfolio with a new development in London’s South Bank in 2019, as well as openings in Zurich, Cologne, Frankfurt and Shanghai before the end of 2020. Each property shares the brand’s Lean Luxury philosophy, which champions quality accommodation at an affordable price in central city locations. Guestrooms make use of a laid back, contemporary design and feature full soundproofing, walk-in showers, blackout curtains, high-quality linen and custom mattresses. Quirky touches such as a Marshall guitar amplifier allow guests to use both their own guitar or one borrowed from reception, while the hotel group’s internet radio station, Ruby Radio, can be accessed in each room. Technology is used aplenty throughout the properties, with guestrooms also featuring a personal tablet PC and smartphone pre-loaded with Ruby Hotels’ curated city guides, social media apps and unlimited data and call usage. On arrival, meanwhile, an innovative self-check-in system uses iPads to reduce check-in time to under one minute. Elsewhere, in-house restaurants are replaced by communal spaces serving organic, locally-produced breakfast without the need for a kitchen or chef, minibars and room service are substituted for galley kitchens, vending machines and ironing stations, while bars, movie lounges and rooftop spaces take the place of traditional spa and gym facilities. Completing the offer, fully-equipped work stations and libraries with reading corners accompany live music nights, movie screenings and events to provide guests with an authentic taste of the city.